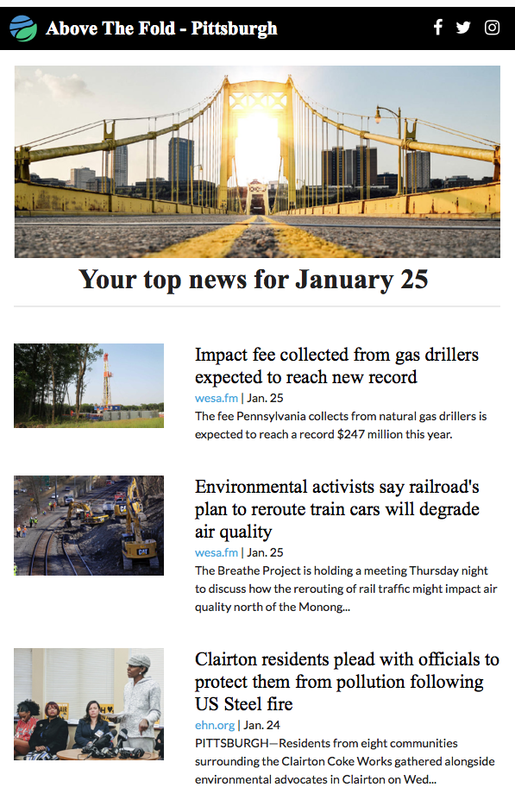 Best reporting we're seeing from around the region and beyond on Pittsburgh and Western Pennsylvania, delivered free every Friday. Permission: We only send regular newsletters and very rare updates about our work. We will never share or sell your information. We offer a host of daily and weekly newsletters, offering deep dives into climate, population, plastics and more. All handpicked by our team of researchers and editors.